Today is the first official Climate Justice Day at the UN Climate Change Conference in Marrakesh, Morocco. 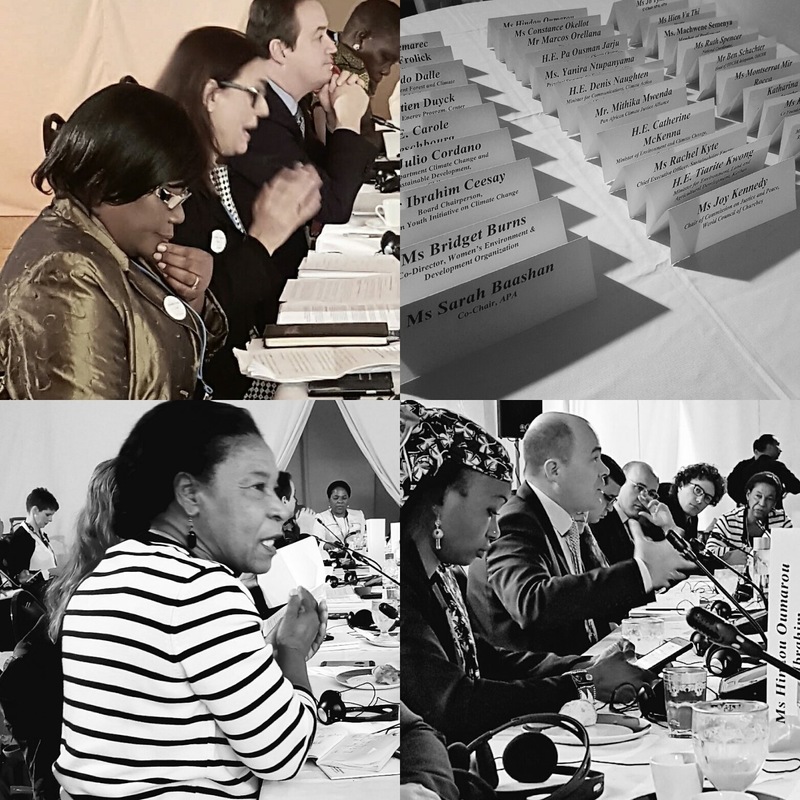 The Mary Robinson Foundation – Climate Justice and the Moroccan Presidency of the 22nd session of the Conference of the Parties co-hosted a high-level breakfast meeting to mark Climate Justice Day. Mr Driss El Yazami, Director of the Steering Committee COP 22 Presidency and Chairman of the National Human Rights Council, Morocco co-chaired on behalf of the COP22 Presidency. The dialogue brought together a range of government, UN and civil society actors to discuss the social dimensions of climate change and how they relate to the Paris Agreement. It offered the participants an opportunity to share their experiences in integrating human rights and gender equality into climate policies and actions and in ensuring the active participation of vulnerable people in climate decision making. Opening the meeting, Mary Robinson said Climate Justice Day is a day “when we focus our minds on the people that motivate us all to work on this issue – vulnerable people in societies around the world, the people we serve and our own families, especially our children and grandchildren”. “Last year, countries came together in a spirit of equity and solidarity to deliver a series of multilateral agreements that built a foundation to deliver justice,” Mrs Robinson added, referring to the Paris Agreement, Agenda 2030 and the Sendai Framework. Speaking at the event, Ben Schachter, OHCHR, said: “We are seeing the same issues arising over and over again with climate policy. We need to break the cycle and engage human rights based climate policy”. “What we mean by human rights in the climate change context needs to be well defined, we will continue to work on this,” said David Rivkin, President of the International Bar Association. “Now we have human rights in the agreement, we need to understand what this means and how we can incorporate them into the implementation, if human rights is a cross-cutting issue for all policies how will we incorporate it,” said Julio Cordano, head of the Department of Climate Change and Sustainable Development, Chile. “Indigenous peoples are really now the right partners for this action, because of everything we are doing, here at the climate negotiations there is urgent need of mechanisms,” said Hindou Oumarou Ibrahim, Coordinator of the Indigenous Women and People’s Association of Chad.